The Scoop: TourBar has combined the excitement of traveling with the excitement of dating on a mobile-first platform that pairs up solo travelers and local guides. Since its launch in 2014, the international dating site has connected over 3.5 million registered users around the world. Now anyone planning a vacation can build fruitful relationships with locals and get their input on where to go and what to do. One of my best friends loves to travel to different places and immerse herself in foreign cultures. She has been everywhere from Germany to China and is always planning her next trip (ideally to a country she’s never been to before). For the last year, her dream has been to scratch Morocco off her list, but she has had trouble convincing someone to go with her to the Middle East. My friend is a successful single woman with the means to see the world, but her social connections have limited her travel options. However, modern technology has offered worldly travelers, like my friend, a community where they can connect, bond, and plan trips abroad, so no one has to travel alone. An international social networking and dating platform called Tourbar can expand a single person’s horizons and help them find new friends and date prospects in just about any country they care to visit, including Morocco. TourBar opens up a world of possibilities for singles seeking a travel buddy or romantic partner. 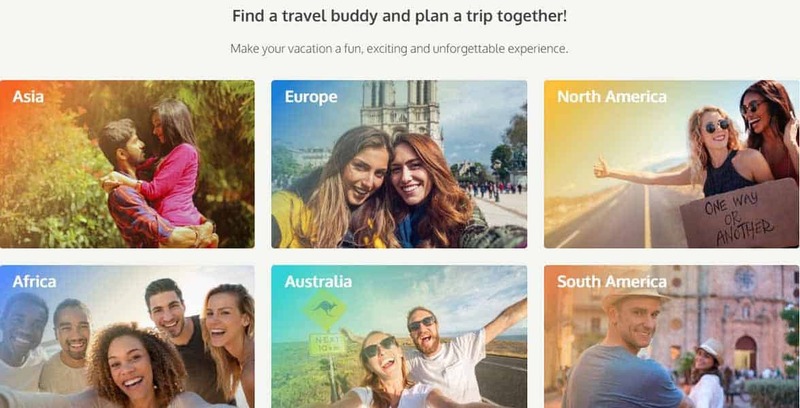 Since 2014, millions of people have used this dating site and app to spice up their vacations by meeting locals online. They can use the free communication tools to get recommendations on where to go and what to see, and they can even schedule meetups with online pen pals during their visits. TourBar is a mobile-first dating network, which means it’s perfect for the single person on the go. The app is currently available in the App Store and on Google Play. The success of any trip hinges on your companions. You need to make sure the people going with you on the tour bus, cruise ship, or walking tour have the same vacationing style you do — or you’ll be in for a rough ride. Incompatible travel buddies can turn a vacation into a power struggle. One person wants to go out dancing while another would rather order in room service. One person enjoys planning excursions in detail, while the other enjoys simply wandering through town. Signing up for TourBar is free, so travelers don’t have to bust their budgets to explore the dating scene at a vacation spot. Users can expedite the signup process by linking their profiles to a social media account, including Facebook, Twitter, or Google Plus. This allows singles to quickly create a profile and look around the dating site. The team also uses social media accounts and mobile phone numbers to verify user identities. TourBar has a three-step verification process. First, the team asks all new members to submit a picture of themselves holding up a piece of paper with “TourBar” written on it. This photo is kept private and will only be used to match to the members’ other photos. The TourBar team then asks that users send in a copy of a photo ID (passport, driver’s license, etc.) with the person’s name and age on it. Last of all, users will submit a mobile phone number and receive a verification code via text. These security measures add a layer of trust and authenticity to the site. Members can also choose to keep their online identities private and remove their profiles from search results. Only mutual matches or VIP members can send messages on the site. Vasily said this greatly reduces the chances of running into a spammer or fraudster on the site. In the last two years, over 3.5 million people have registered on TourBar in search of international love affairs and friendships. Men outnumber women on the site, which is fairly typical in the online dating world, and their ages vary. Vasily told us that a majority of the women on TourBar are young and outgoing — 84% of female users are under 35 years old. TourBar’s men, on the other hand, tend to be more experienced — 74% of male users are over 30 years old. These men and women also tend to hail from different parts of the world. Around 60% of registered women are from developing nations, including Colombia, the Philippines, Venezuela, Ukraine, Russia, Venezuela, Morocco, Brazil, and India. While the same percentage of men (60%), live in wealthy and prosperous countries in Europe, North America, and the Middle East. TourBar users may live in different countries, but they come together through a love of traveling. Because TourBar’s women tend to live in interesting travel destinations, they’re often the local guides who advise and meet men traveling from the western part of the world. Having a guide often makes an international journey more enjoyable, so TourBar has great value to ambitious travelers from all walks of life. Throughout the years, TourBar has accumulated data on its users’ travel interests, age preferences, and other match criteria. Its algorithm has matched countless travel companions and learned from the success of its suggestions. TourBar’s six-person team works hard to compete with large, multi-faceted corporations. Vasily said he has chosen every employee with great care and looked for self-motivated individuals who take pride in their work. 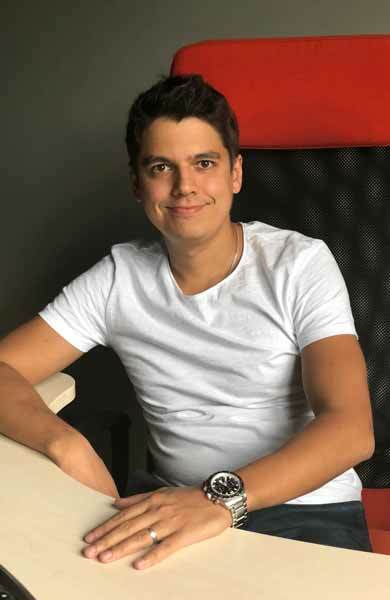 Today, the team includes senior developers, marketing gurus, and customer support reps.
TourBar CEO, Vasily Petroff, is at the helm of a dynamic six-person team. Each TourBar team member is an expert in his or her respective field. They use their intellect and creativity to support a new way to match up people in the dating world. Vasily said he encourages his employees to take initiative in their daily tasks and propel the company into the future. TourBar’s overall company culture thrives on innovation, enthusiasm, and a strong work ethic. The company’s global success and positive user ratings speak to the effectiveness and passion of this tight-knit team. My friend has been wheedling me for years to go with her to Morocco, but it’s just not a place that appeals to me. That shouldn’t stop her from going, though. After all, it’s her dream. She’d be on the next plane out of here if only she knew she’d have someone to travel with her to the gardens, marketplaces, and canyons. With the help of TourBar, avid travelers like my friend can see to it that they never travel anywhere alone. Instead of choosing destinations to suit their friends, TourBar members can choose friends to suit their destinations. By introducing world travelers to one another online, TourBar has changed the nature of the online dating scene and inspired countless romantic trips to Europe, Asia, Africa, Australia, North America, and South America.